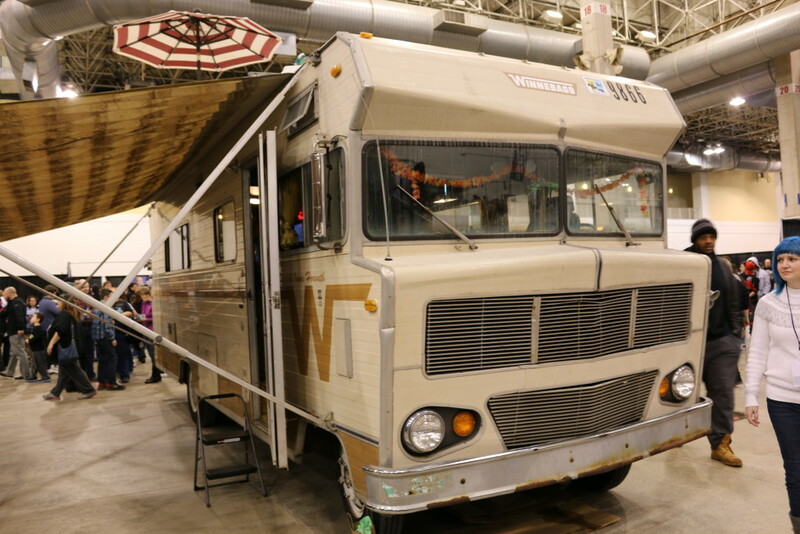 Last weekend, I attended a Walker Stalker convention for the first time. 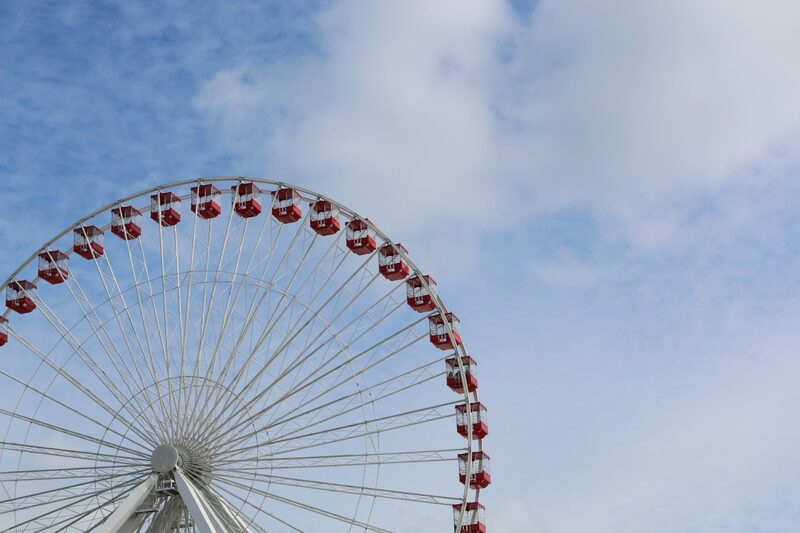 The two-day event spanned from Saturday to Sunday and was held in a convention room at Chicago’s Navy Pier. I didn’t know what to expect before going there, especially since I’m relatively new to The Walking Dead fandom. Little did I know that I was going to learn and experience a lot more than just facts about the television show, the comics, or the zombie apocalypse during my time there. During the convention, I was able to attend three full panels. On Saturday, the panel that I went to was one that was dedicated to remembering season one of the television series. 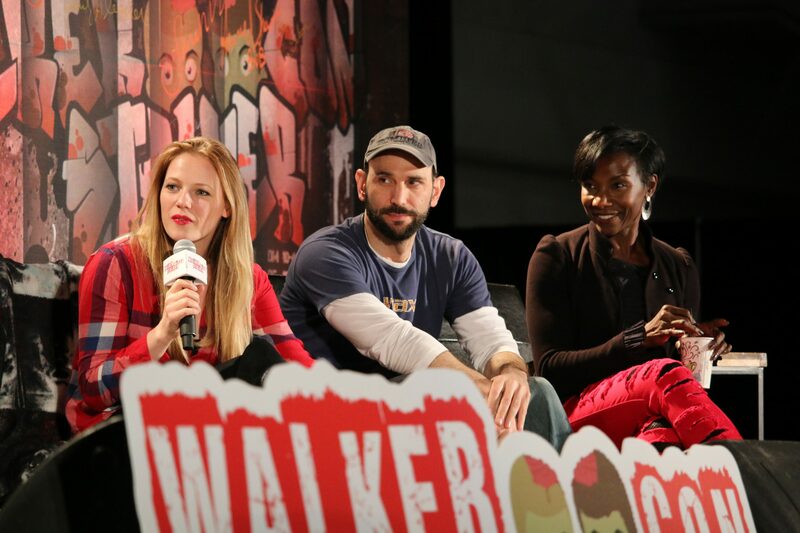 The panel welcomed the actors that played Amy (Emma Bell), Jim (Andrew Rothenberg), and Jacqui (Jeryl Prescott) from season one of The Walking Dead. I think that this was a great first panel to attend because of how it brought my attention back to the show’s origin. Before the Q&A started, we were able to watch a clip of Amy’s death and reanimation. It was definitely a shared moment of grief and nostalgia for the audience as we all reminisced about the beginning of the show and its tragedies together. Throughout the panel, the actors were asked questions about their time on the set and how their characters would have developed if they hadn’t met such an early demise. They spent a lot of time answering these, but the conversation quickly turned into a deeper talk of how the show had impacted the characters and the actors. The actors explained how most of them took a chance when taking on their roles, especially since there weren’t a lot of expectations that the series would go that far. Jeryl even mentioned how her manager told her that the show wouldn’t last long or go past its initial season. Nonetheless, they took the chance to be on the show and ended up having a great experience. On Sunday, I attended two panels. 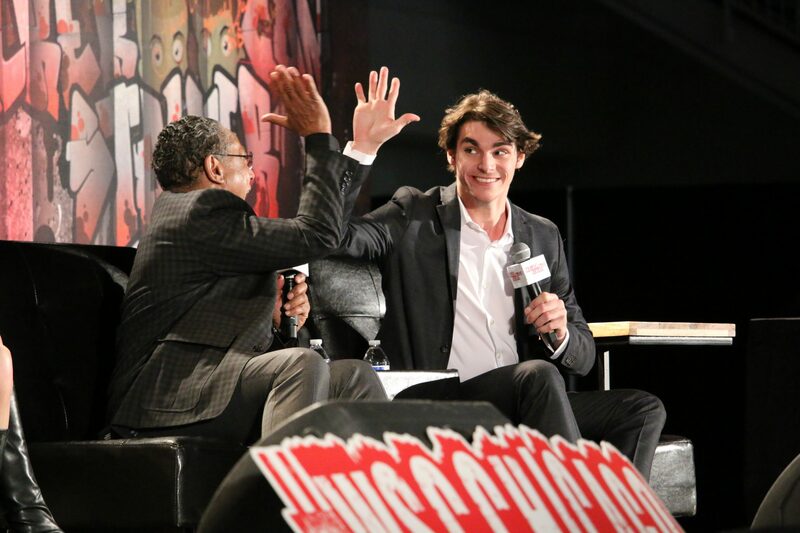 The first was for the TV show Breaking Bad, featuring Giancarlo Esposito and R.J. Mitte. It was an interesting sight to see the two actors sitting beside each other on the stage since their characters hardly had any interaction during the show. My initial shock came from seeing Giancarlo Esposito. He, in person, was a complete contrast to his character Gus Fring. He was friendly, sociable, hilarious, and a surprisingly cute and doting father. He was a far cry from the intimidating and threatening character that he portrayed. Both he and R.J. were very polite and charming throughout the entire panel. The two actors looked really comfortable on the stage and also while interacting with the crowd. The audience asked questions about their characters and how they got casted. While Giancarlo was more laid back and seemed more lighthearted on the stage, R.J. seemed more serious. He spoke about his experience living with Cerebral Palsy and how he was able to work even harder in order to realize his dream of becoming an actor. Both of them discussed how acting was a huge part of their lives and identities and how much it meant to them. 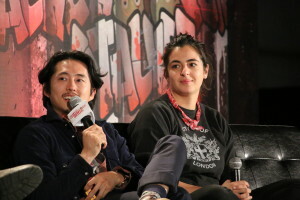 The last panel that I went to (which also happens to be my favorite) was the one featuring Steven Yeun and Alanna Masterson, who play Glenn Rhee and Tara Chambler on The Walking Dead. What really stood out in this particular panel were the questions that the audience members were asking the actors. Instead of the usual questions about their experience on set or their opinions on their characters, the audience was very interested in how the actors got their start in acting and what makes them so passionate about their practice. A lot of the questions that were directed towards Steven especially were about his beginnings in improv and how he got started in acting. He explained how he initially went against his parents’ wishes when deciding to go into acting. He said that he doesn’t regret making that decision and is really glad that he took a chance and followed his dream. As for Alanna, she explained that she got started by guest starring in the shows that her older brothers were in. However, she quickly fell in love with acting and has decided to forge her own path in the profession. Steven and Alanna were both really entertaining and informative as they gave the fans heartfelt answers about how they got started in the business and what it’s like for them to be actors and on the show. While the three panels covered different topics, something interesting that I noticed were the similarities in the topic of their discussions. Many of the conversations naturally flowed towards the topic of following one’s dreams and taking chances. This is something that I felt was especially close to my heart since I’ve also been thinking a lot about what I want to do in the future. Like I stated earlier, I was taken aback by how deep and insightful the panels were, as well as how much I was able to learn from them. I feel like many fans in the audience were encouraged by these actors and their stories as much as I was. 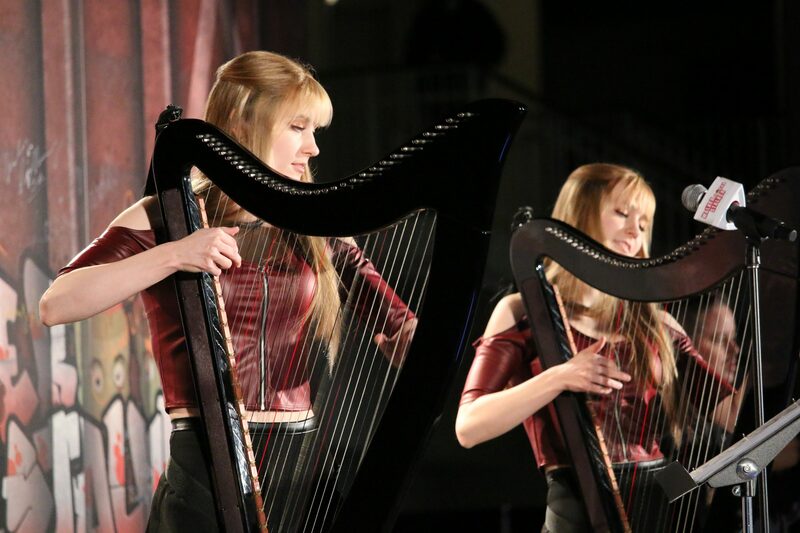 As for the rest of the convention, I spent some time listening to the Harp Twins having mesmerizing performances in-between panels, walking around the autograph lines, and wandering through the exhibit hall. Unfortunately, my poor college student status made it difficult for me to pay to meet the actors. But I was able to find something that came pretty close to meeting them: cosplayers! There were so many talented cosplayers and character look-alikes wandering around the convention! I was so amazed by the amount of effort and the level of detail that the cosplayers put into their cosplays. I will be posting more about cosplays at the convention in a later post. In addition to the cosplayers, there were also many amazing artists who were selling their artwork at the convention. It was almost overwhelming to be surrounded by so much talent. As a whole, I had a really good time at Walker Stalker Con Chicago. The panels were great, the vendor tables had so many awesome products, the artists were amazing, and the people at the convention were very friendly and fun to talk to. I really look forward to attending the convention again next year!